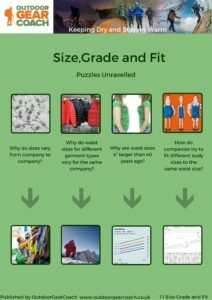 Why does garment training matter? Question. We don’t need to know how a car works to drive it, so why all this technical stuff for garments? Answer You must of course pass a test before you can drive. Your car is surrounded by legislation, safety standards and regulations covering almost everything including tyres, windscreen wipers and annual MOT checks and of course product guarantees and even recalls. When something goes wrong call the AA. But drive in remote places, Africa, South America, Himalayas and you had better have someone with you who knows how a car works. The outdoors and mountains are the last place on earth where we can make our own decisions and indeed must take responsibility for the consequences. Product knowledge helps our problem solving and improvisation ability. So why does Keeping Dry and Staying Warm Matter? 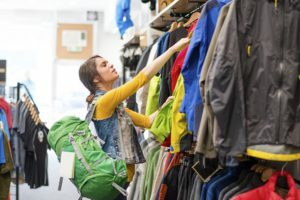 Garments are approximately 50% of most outdoor store sales. No independent formal training exists for outdoor garments. Outdoor Gear Coach teaches first principles and core concepts supported by best layering practices. These apply to all garments regardless of brand or fabric. 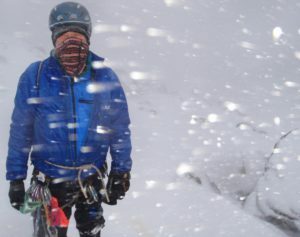 Most outdoor activities are covered in layering practice terms. Two core chapters, Polymers/fibres and textiles also apply to sleeping bags, packs, tents and all outdoor textile products. When accredited ‘Keeping Dry,Staying Warm’ will become a valued qualification for job applicants and one to be sought by job advertisers. The outdoor industry has been very innovative over the last 40 years. The older generation (we, the authors are among them) learned about garments step by step, year by year, as they were developed. To learn we were often able to talk directly to newly emerging suppliers, innovator/entrepreneurs, textile specialists and business owners. Testing everything new ourselves was needed and indeed still then possible. Today, young staff starting out in the industry (who may have English as a second language) are met with a ‘sea’ of garments in store. 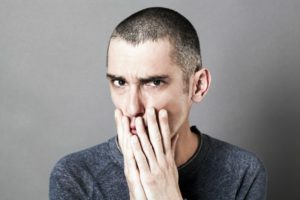 This is compounded by a bewildering vocabulary coming from a mix of sources including textile, organic chemistry, engineering, human physiology and other sciences. Words are often created by the industry itself. Sometimes many different words exist describing the same thing. We use carefully selected generic language (also checked for North American usage by our USA editor) accompanied by a glossary of terms. The information challenges today are much greater than they were in the 1980s. These (often young) staff can sometimes be confronted with well-heeled clients paying for adventures to all 7 continents and requesting advice. Retail staff are essentially trained on what the shop stocks. But the consumer is moving rapidly between shops and websites when making a decision. Understanding first principles gives the ability to understand customer needs and solutions more clearly. To bring new starters rapidly up to competence, our online training is split into ‘lunchtime sized’ modules, supported by an ebook available to all. Further tools include A3 training posters for staff rooms and introductory video clips. Can be done in work or personal time and accessed on any device. We plan out of workplace workshops to take experienced people though from level 1, level 2, to coach 3. Outdoor instructors and guides are largely excluded from brand product training but, arguably they know better than most how garments perform. In summary the brands do product training. Outdoor Gear Coach does first principles and core concepts training (which supports all brands) plus layering practices.